Lillian Durán, Ph.D., is an Associate Professor in the Department of Special Education and Clinical Sciences at the University of Oregon. 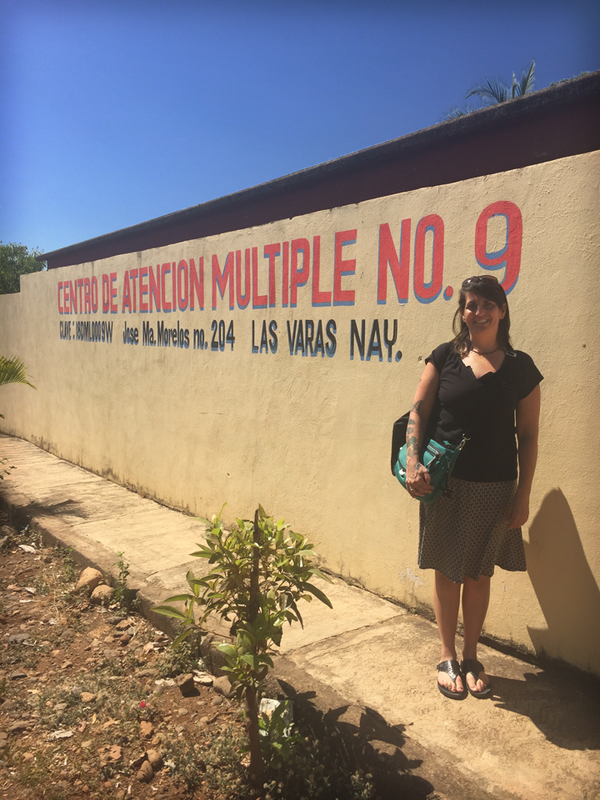 Her research is focused on improving instructional and assessment practices with preschool-aged dual language learners (DLLs). Dr. Durán leads National Center on Improving Literacy’s (NCIL) work on creating and translating resources for DLLs, and provides expertise on the topic of recommended practices in assessment and intervention with young DLLs with and without identified disabilities. Prior to Dr. Durán’s work in higher education she worked for 9 years as an early childhood special education teacher. ED: How did you begin your career in early learning and early literacy? Lillian: I started my career as an early childhood special education (ECSE) teacher in Prince George’s County, Maryland. I was hired without special education licensure to teach a self-contained special education preschool class that was deemed “cross-categorical,” meaning the children all had disabilities but the type of disability varied by child. Around this same time I enrolled in a master’s program at George Washington University. I eventually became licensed and graduated with a degree in ECSE. My next job was working with an early intervention home visiting program in rural Minnesota. We worked in home settings with infants and toddlers with identified disabilities, birth to age three, and their families. Many of the families were native Spanish speakers. Through this work, I started to become very interested in young dual language learners (DLLs). I grew up in a multi-lingual house. My mother was German and father Mexican, so I grew up learning and speaking 3 different languages and always saw the value in being multi-lingual. I have been an associate professor at the University of Oregon’s Special Education Department for the past two years and last year had the opportunity to join NCIL. ED: What efforts have you and NCIL been involved in to improve the quality of early learning and early literacy? forming partnerships with key stakeholders and audiences. NCIL has a number of activities planned this October to raise awareness and improve understanding of dyslexia. I was specifically brought onto the NCIL team because of my expertise in screening and progress monitoring, especially for young DLLs. I am also a co-principal investigator for a research grant, funded by ED’s Institute of Education Sciences, focused on developing a Spanish version of the IGDIs for both screening and progress monitoring. This research and expertise will be wrapped into NCIL’s body of work. In the second year of NCIL, we will focus more intentionally on early learning, particularly screening and assessment tools. We are forming a partnership with the American Academy of Pediatrics to develop a simple tool that pediatricians can use to identify risk for reading-related disorders. We are excited to begin work with preschools, including building partnerships with existing Head Start and statewide Pre-K programs that are interested in improving early literacy screening, monitoring, and instruction. I have an early childhood background and it is my role on the NCIL team to ensure we are thinking about how to translate our work so it is appropriate for younger children and the various early learning programs they participate in. Working in an elementary school or classroom can be very different than working in an early learning program. There can be so much variability across different early learning programs—the education level and expertise of the teacher, whether or not they implement a specific curriculum, the overall quality of the program, and much more. You really need to understand the program and meet them somewhere in the middle if you want to be successful in helping them improve their instructional quality and contributions to early literacy. Our specific early learning work scope is still in development, but we are hoping to identify local Head Start and Pre-K programs to partner with and, within these programs, to establish regular early literacy screenings. We also hope to teach evidence-based intervention strategies to teachers within the programs so that once children are identified there is actually a system of targeted and systematic instruction in place to meet their identified needs. ED: What are some of the challenges you have experienced in this work, and what strategies have you tried to overcome them? Lillian: One major challenge is helping practitioners and administrators understand the systematic need for universal screening. Universal screening isn’t just about identifying children who may have a developmental delay or disability; it is also about identifying the instructional needs of all children. We need to do a better job getting this message across. Related to this is figuring out how we train and support teachers to differentiate instruction. Once you do know where the kids are functioning (e.g., in a multi-tiered system of support, once you know which tier level the kids are), what do you do? How do you differentiate instruction based on children’s instructional needs? This is the research-to-practice challenge. Through research we can identify instructional approaches to meet the needs of various children, but translating these practices into real classrooms and early learning programs isn’t always easy. We need to understand the context and build strong partnerships with programs. We need to understand what programs are currently doing to see how the research-based practices can be embedded. For example, do programs have enough staffing to support the implementation of new instructional approaches? Do programs have an existing curriculum that these practices align with? We need more people that are focused on this challenge—getting evidence-based practices into the hands of people working with children. I believe what’s crucial to this is researchers taking time to roll up their sleeves and get into classrooms, working directly with practitioners. This allows researchers to partner with programs to work through the practical challenges that always come up. The final challenge I’ll mention is the need to address and improve the overall quality of early learning programs. I worked with migrant Head Start programs in Utah to implement a semi-scripted curriculum focused on early literacy and language. We found that with the right support they were able to easily implement this early literacy curriculum, and then found that it changed teachers’ practice throughout the day (not just when they were implementing the curriculum). The teachers were hungry for guidance and support on how best to help their children. Again, the message here is that researchers need to become more embedded in the classroom, conducting more focused observations of how what they’ve developed could be implemented in different classrooms and programs. A researcher’s work isn’t done after developing a product or intervention; this is just the beginning. The next critical step is figuring out what support is needed for the product or intervention to actually be translated into daily practice on a large enough scale to actually make a difference. ED: What suggestions do you have for others interested in supporting literacy development in young DLLs? curriculum and supports in place to guide their instructional practices. Overall, the big frame is prevention. We need to screen and monitor the progress of all young children and ensure the instructional approaches we are using with young DLLs are meaningful and effective. By intervening early, we will hopefully prevent reading problems from developing down the road. Early intervention is a cornerstone in preventing reading difficulties and I hope to make that a key focus of NCIL. A house is only as solid as the foundation. Associate Professor in the Department of Special Education and Clinical Sciences at the University of Oregon.